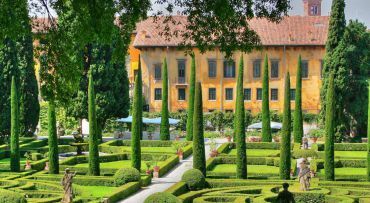 Today, the Palazzo Vescovile in Verona serves as the residence of the local bishop. 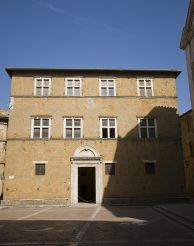 The palazzo was built around a 12th century tower, named after Bishop Ognibene, during whose reign it was built. The palace, as it is today, appeared in the 16th century. One of the adornments of the building is the portal of 1502, where you can view the figures of Saints Peter and Paul, the Archangel Michael and the Virgin Mary. The author of this composition is Giovanni da Verona, a well-known sculptor and architect at the time. 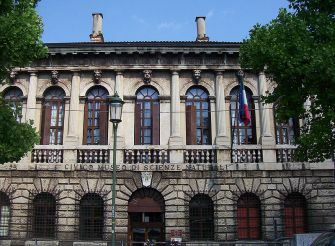 The Palazzo Vescovile is located on Piazza Vescovado. Not far from it there are other local attractions – the houses of Romeo and Juliet, the Roman theater. 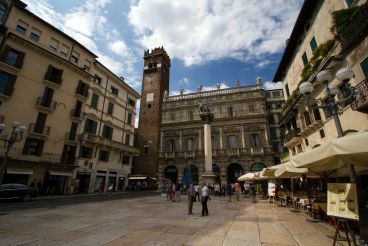 You can get to the palace by public transport (buses № 70, 96, 97), stop Piazza Duomo 6.